Our K22 polyimide film tape combines a 1.5 mil high temperature pressure sensitive adhesive with a 2.0 mil flexible carrier to create a tape product which is perfect for high temperature masking needs. Typical applications include the protection of printed circuit board gold finger contact leads during wave soldering. Typical applications include the electrical insulation of high temperature coils, motors and transformers meeting Class H requirements. Powder Coating, E-Coating, Wave Soldering, Circuit Board Insulation, and Hot Air Leveling. The product is UL approved for use in the electrical insulation applications meeting class H requirements. 3.2mm 2-mil Polyimide Tape (0. 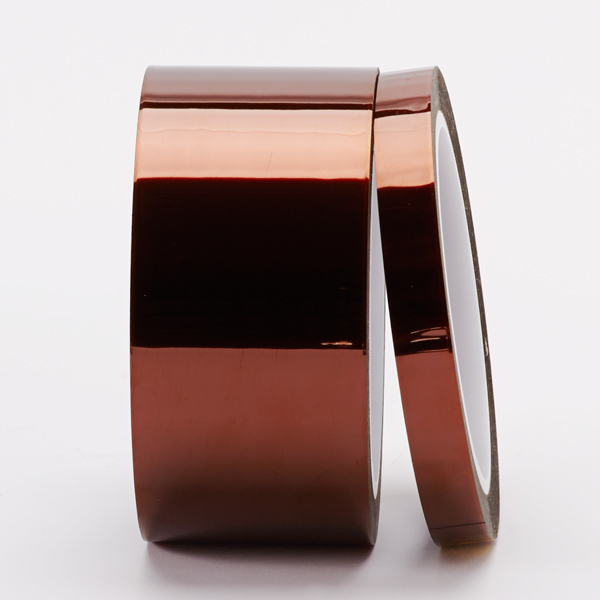 6.4mm 2-mil Polyimide Tape (0. 9.5mm 2-mil Polyimide Tape (0.